It has now been 25 years since the wonderful John Candy passed away, and the legendary actor is still very badly missed. Among the late comedian's many fans include Ryan Reynolds, a fellow Canadian actor who took to Twitter on Sunday to remember Candy. 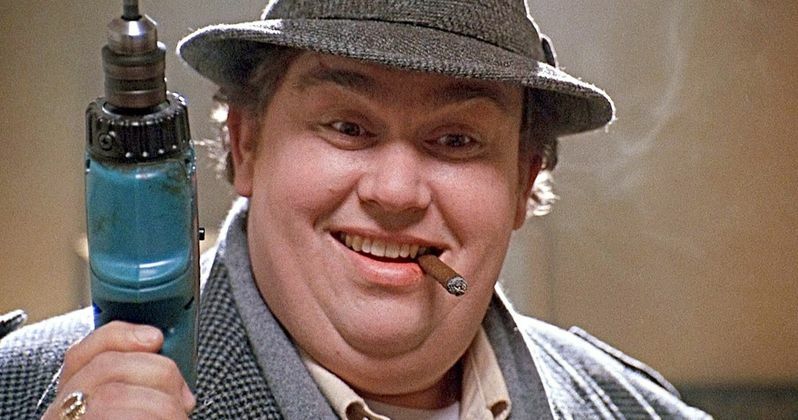 Posting a video clip featuring some of Candy's greatest movie roles, "It's the 25th anniversary of John Candy's passing. We cooked up a small tribute to a comedic genius and Canadian hero," Reynolds says in the tweet, thanking Candy's son Chris and daughter Jen. He adds, "If you haven't seen much of his work, take a look at his films. He was a treasure." Any one of us that was around when Candy was making movies would certainly have to agree. Born in 1950, John Candy first began performing on-screen in the '70s. He would take on bit parts in various movie and TV roles, including a part on the Canadian series Police Surgeon as an accused killer. What led to his big break in the United States was when he became a cast member of the comedy variety show Second City Television, which was picked up by NBC in 1981. Soon after, he would appear in Ivan Reitman's Stripes, which quickly set the ball rolling for Candy's rise as a Hollywood star. Roles would then seemingly be offered nonstop to Candy both in Canada and the U.S. from that point on, all the way until the actor's death. Some of Candy's most memorable roles came from starring in John Hughes movies. In 1987, he starred alongside Steve Martin in Planes, Trains & Automobiles, which is still regularly played by many families every Thanksgiving season. He then co-starred with Dan Aykroyd in the comedy classic The Great Outdoors, which was written by Hughes. In 1989, Candy and Hughes would team up again for the blockbuster hit Uncle Buck, which is considered by most fans of the actor to be one of his very best movies. By this point, Candy had grown so popular that he even had his own animated series, Camp Candy, which aired for three seasons on NBC. Candy's life and career came to a sudden end in 1994, during the production of the comedy movie Wagons East. While in Durango City, Mexico, Candy had prepared food for his assistants before going to bed for the night in his hotel room. It was there where he was later found dead at the age of 43 years old. It is believed he died due to a myocardial infarction, although no cause of death was officially proven as no autopsy was performed. Candy has suffered from various weight-related issues prior to his passing, in addition to being a heavy smoker. He was survived by his wife Rosemary and children Chris and Jen. Wagon's East and Canadian Bacon were then released posthumously, and both movies were dedicated to the late movie star. It's hard to believe it's been 25 years since we lost John Candy. Because his on-screen performances were so unforgettable, Candy is just as fondly missed and remembered now as he was back then. Given how many timeless classics the comic actor made in his career, it's clear his legacy will continue to live on for a very long time. You can take a look at the tweet from Reynolds with the video tribute to Candy below.